19 months! 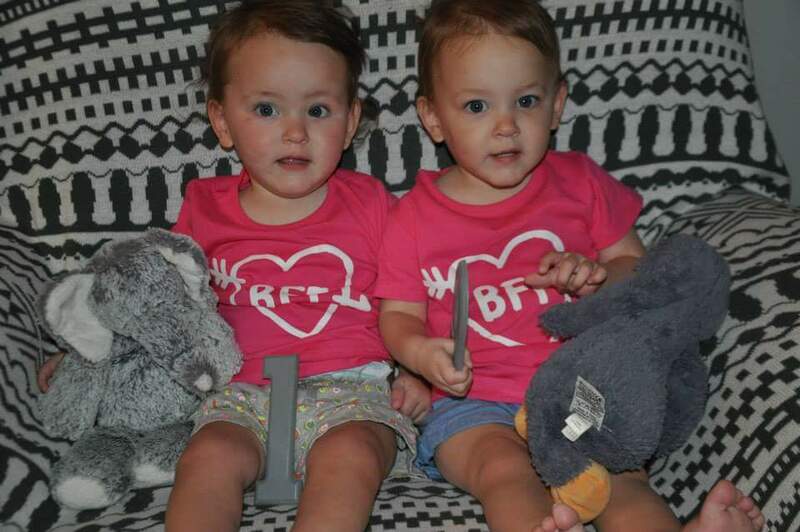 So hard to believe that every day the girls are getting closer and closer to two, though right now they’re only 16 months corrected. 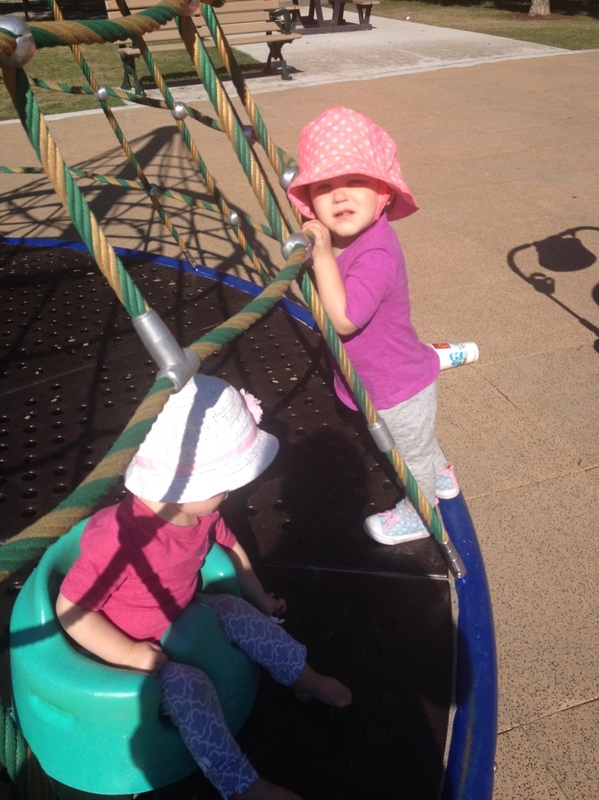 The girls are starting daycare in September and will start transitioning soon. What an adjustment that will be in so many ways! Ella is reaching more and further away to grab food or toys. She leans over and swipes what she wants. She’s pretty sneaky about it, too. She has tons of teeth, tons. Some of them are super sharp-looking, but her non-menacing smile seems to help with that. 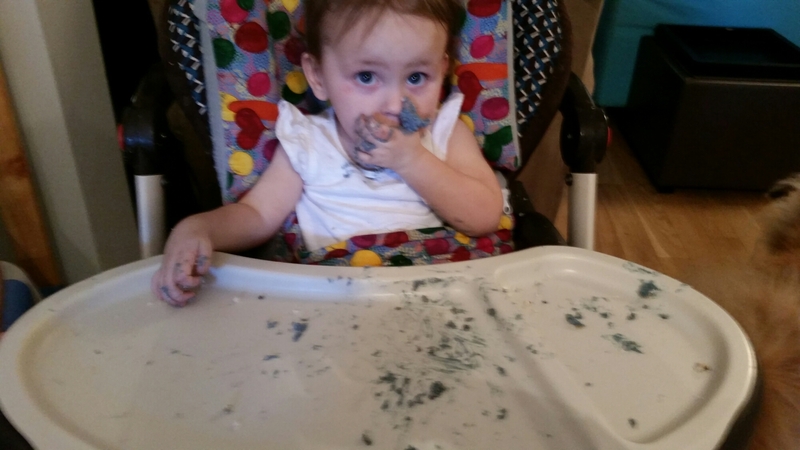 Ella enjoying a cupcake, and making a mess! Ella has been rolling around more, playing with her toes, lifting up her legs. It’s amazing to see. We’re getting some adapted equipment for school, and it’s my hope that she will continue to get stronger while she’s there. 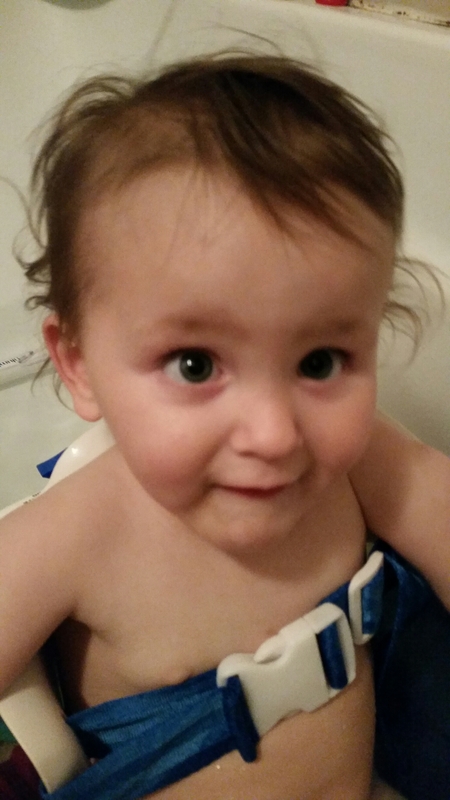 Ella in her bath chair, getting ready to start splashing! 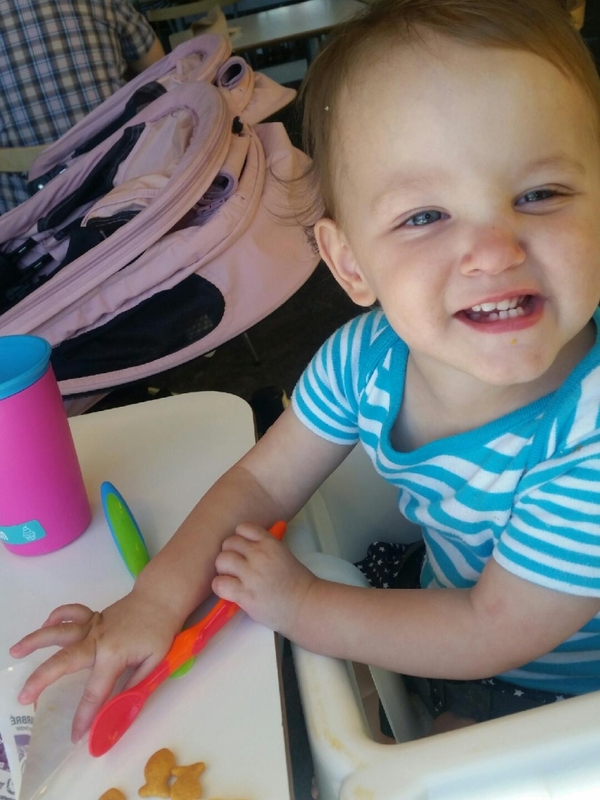 The girls had a speech language assessment last week, and since then, Raegan has learned a few new words like cookie! And, really, that’s the most important word to know! They’re both on track for their age, and no real concerns were mentioned. Raegan enjoying lunch at IKEA! The girls’ nanny is the absolute best, I could not do it without her. When I’m at work, she always updates me and sends me photos and I know the girls are in the best hands. It’s still not easy to leave them, but I know they are well taken care of. Next month’s update will include the transition to daycare, which will be a new adventure for us all! 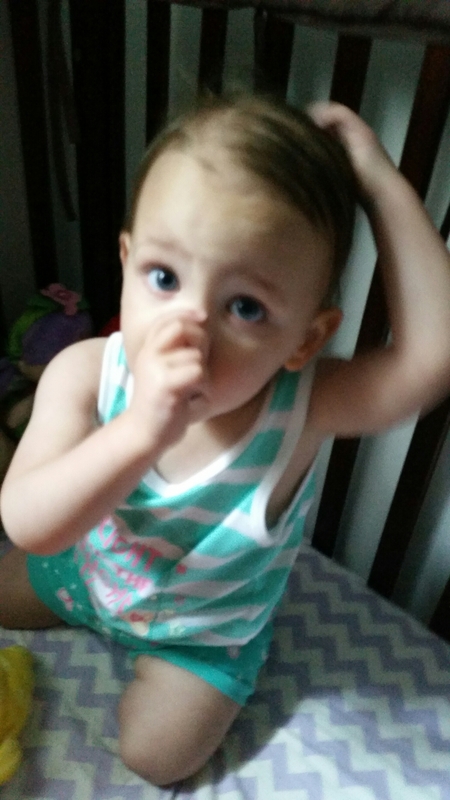 This entry was posted in Baby love, Baby update!, Home is where the heart is and tagged cerebral palsy, development, hydrocephalus, identical, milestones, momo, mono mono, motherhood, NICU, parenthood, parenting, preemies, single parent, special needs, toddler, twins. Bookmark the permalink. So amazing (and hard!) to see our babies grow to be little girls! Loved reading this! Are you in Toronto?